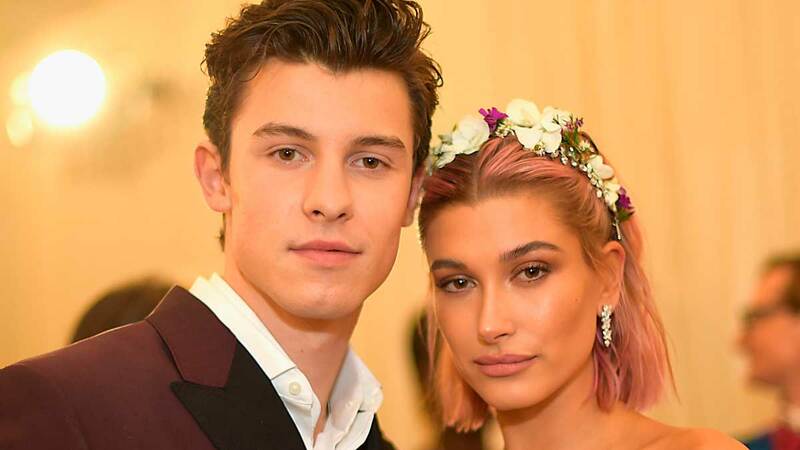 Sure, Hailey Baldwin and Justin Bieber are married in the eyes of the law but Shawn Mendes has something to say about his relationship with Hailey before she became Mrs. Bieber. Oh, and a little something to say about Hailey's engagement to Justin, too. In other words, your feelings about this weird love triangle are about to change a whole lot. Shawn just gave an interview with Rolling Stone in which he felt the need to confess that he's 420-friendly and really loves smoking the devil's lettuce, but he also (finally!) admitted that he and Hailey DID DATE, confirming that you definitely weren't reading too much into their Met Gala appearance. Because 2018 has been a hell of a year, here's a refresher: Shawn and Hailey went to the Met Gala together in May, looked so adorable, and sparked a thousand relationship rumors in the process. On another day, they were spotted hugging near Shawn's hometown, but denied they were ever a thing the entire time—even after Hailey got engaged and married to Justin! He acknowledges they were more than friends, but he's still reluctant to call it a relationship: "I don't even wanna put a title on it. I think it was more of a zone of limbo." Yikes. Sounds like he didn't really know where they stood at all times. Who among us? "I get it, you know. I texted Hailey, 'Congratulations,' and I really am happy for them. She's still one of the f*cking coolest people ever—she's not just a beautiful person visually, but she's one of the most beautiful hearts I've ever met." Cute, right? But then he leaves us with this crazy thought that makes you wonder WTF actually happened: "I think I'm an idiot to not, you know...But you can't control your heart." So, like, did Hailey play him or did he play himself?? ?